currently under construction at 8300 Valley Circle Boulevard, Los Angeles. Sales for available units range in price from $966,990 to $1,324,990. Sterling at West Hills unit sizes range from 3279 to 4336 square feet. 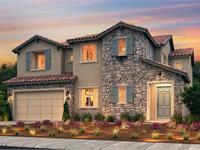 Sterling at West Hills has a total of 5 quick move-in homes currently for sale. Your inquiry will be delivered to the Sterling at West Hills sales team, who will send you more information about this development.